A series of pipe bombs sent to prominent figures including Barack Obama and Hillary Clinton deepens political tensions ahead of US midterms. Cesar Altieri Sayoc, the Florida man accused of sending pipe bombs to critics of US President Donald Trump, had plastered his social media accounts and the van where he was living with signs of his devotion to the Republican president and his hatred for Democrats. Sayoc, 56, of Aventura, Florida, was arrested yesterday for allegedly mailing at least 13 explosive devices to leading Democratic figures, former high-ranking officials and others, FBI Director Christopher Wray said. Sayoc faces at least 48 years in prison although further charges are expected to be filed against him for the mail-bombing campaign which heightened political tensions and put the country on edge. 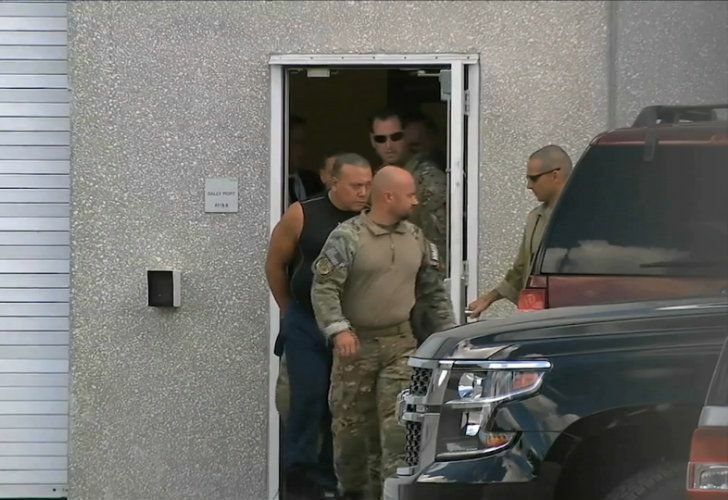 Television footage of Sayoc in custody showed a muscular man in a sleeveless black shirt with closecropped black hair. Sayoc has been arrested several times previously, including in MiamiDade County in 2002 for making a bomb threat against a power company, according to court records. He was sentenced to a year on probation. He has also been arrested for theft and domestic violence. Sayoc, who sometimes goes by the name Cesar Altieri, also has a history of financial problems and filed for bankruptcy in 2012, according to county records. Sayoc’s political leanings are on full display on his Facebook page, his Twitter accounts and his impounded white van – which was covered with pro-Trump decals and anti-Democrat stickers. One of the windows of his van, which was seized by the FBI, features pictures of former US president Barack Obama and 2016 Democratic presidential candidate Hillary Clinton with red bulls-eyes on their faces. Friday’s arrest capped a nationwide manhunt for the sender of at least 13 explosive devices addressed to prominent Democrats including Obama, former US Vice-President Joe Biden and Clinton. The case continued widening yesterday with new packages addressed to New Jersey Senator Cory Booker and former National Intelligence Director James Clapper. Even as Sayoc was detained, investigators in California scrutinised a package sent to Democratic Senator Kamala Harris, her office said.